The latest edition of Star Wars Insider, issue 111, is now available on both sides of the pond (UK issue 87). 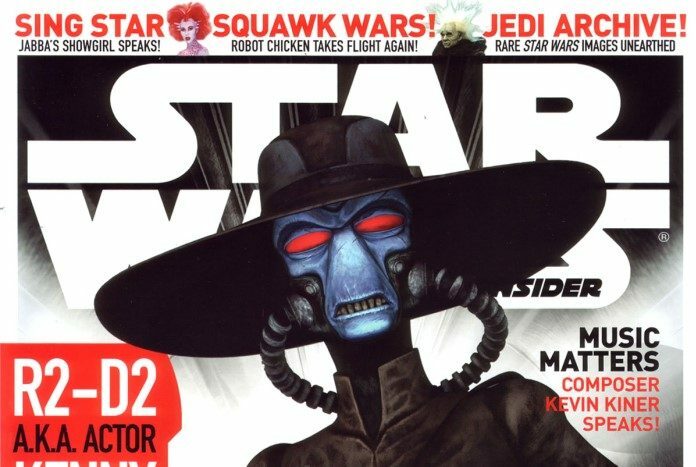 This issue features interviews with Kenny Baker (courtesy of yours truly), Kevin Kiner (the man behind The Clone Wars music), Corey Burton (the voice of Cad Bane), Robot Chicken creators Seth Green & Matt Senreich and also Mercedes Ngoh (one of Jabba’s Singers) – phew, that’s 5 interviews in total and a lot of reading! As if that wasn’t enough there’s all the usual features including Launch Pad, Comlink, Versus (Boba Fett vs Cad Bane), Bantha Tracks and lots more too!